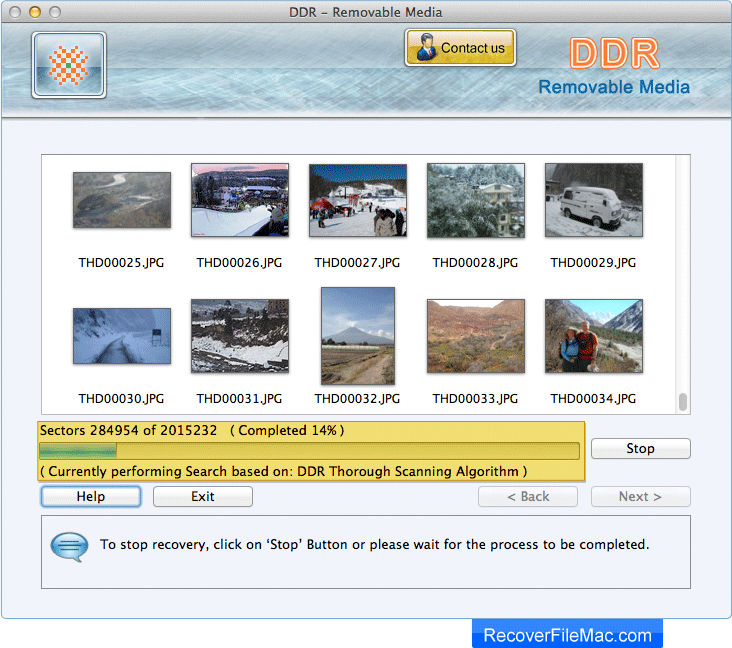 Select the storage media and then choose any one recovery mode among Recover Photos, Recover Videos, Recover Audio Files, and Recover Other Files. 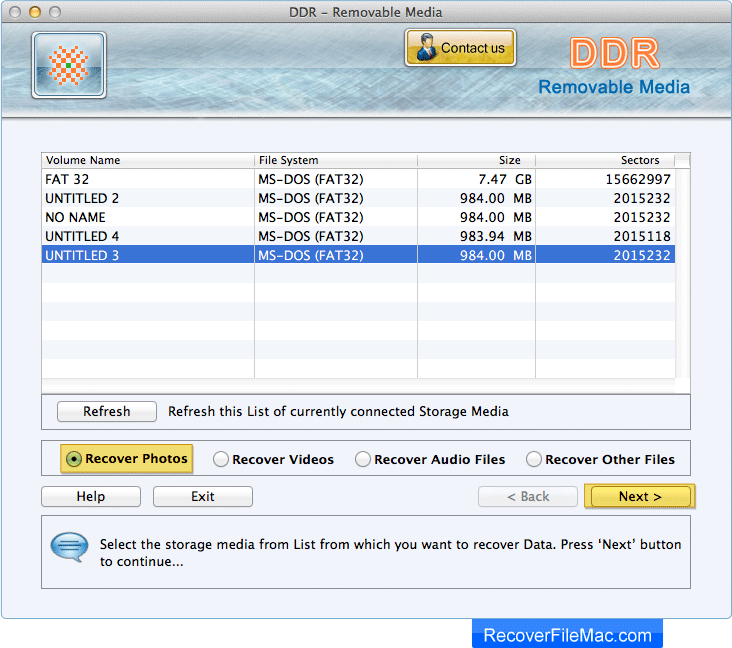 Select 'Entire Disk' searching criteria and browse the path where recovered data will be saved by DDR - Removable Media. 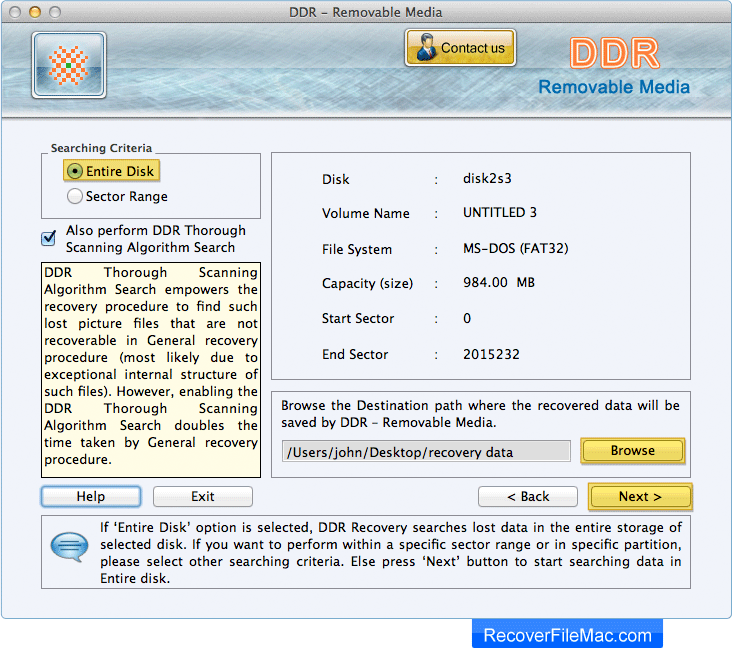 Here, you can see the current running status of disk scanning process. 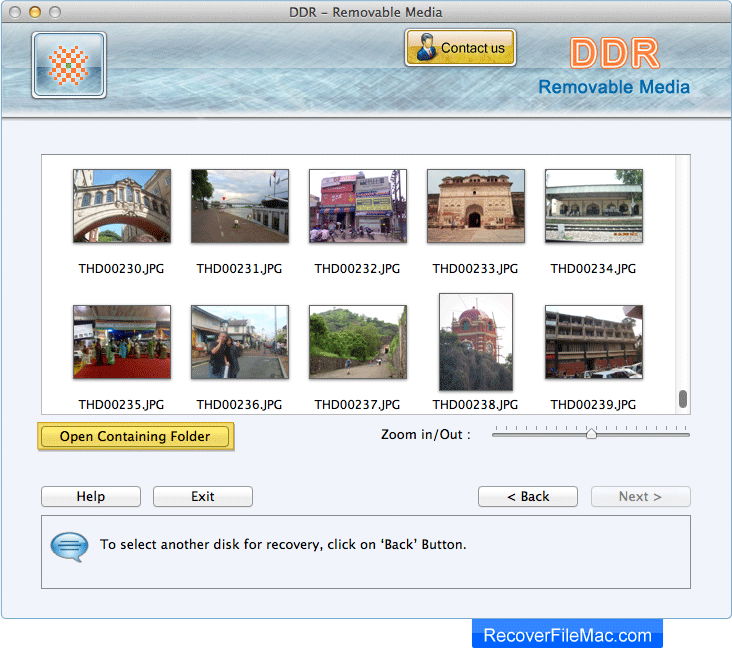 Click on Open 'Containing Folder' to view recovered data.